1 pattern for the Fruit Growing Kneeler. Full colour watercolour design on squared paper. The design shows lines of trees and baskets of fruit in the bottom left half, and a ladder and larger tree on the right. 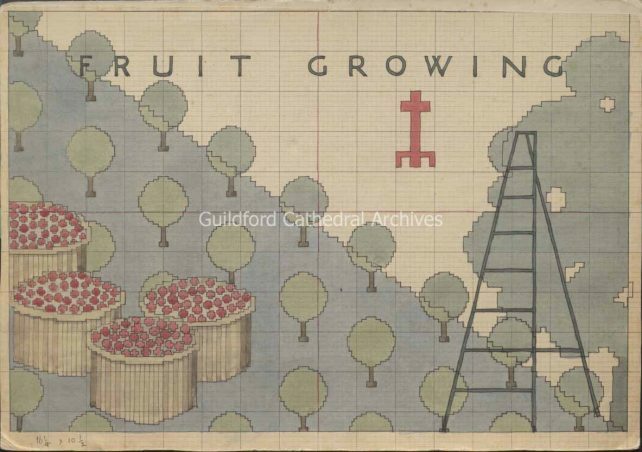 A cathedral plan appears at the top right and the words “Fruit Growing” appear at the top.